Live the life of a champagne jetsetter on a sparkling wine budget as you tour the islands and coastal towns of the famous Cote d’Azur, soaking up the relaxation and flexibility of life aboard a yacht. Discover the contrasts that lie along the coast of Provence, from the bright lights of Cannes and St Tropez to the hidden coves of the Iles d’Hyeres Archipelago. Explore the wonderfully preserved natural beauty of the historic Iles d’Hyeres – hike, bike or stroll through national parks, olive groves and pine forests, relax on picturesque beaches and enjoy some of the best snorkelling in France. Hiking in France, Italy and Switzerland. Enjoy free time for the museums and cafés of Paris..
Go for a wine tasting in towns famous for their vineyards.. Explore the scenery and palaces of Avignon.. It is currently shoulder season in France. Prices are good, and France's tour attractions aren’t crowded. Hotel in the heart of the Cote d'Azur. Coastal paths and mountain walks. Opportunity to climb to the summit of Mt Blanc, with 2 opportunities for a summit attempt with our carefully planned itinerary. Learn basic mountaineering skills and acclimatise on our 3 day training course prior to the climb. Climb the spectacular Aiguille du Tour and Petit Fourche as part of your training. Nice is the perfect place to kick off this French Riviera adventures – wander the Old Town and soak up the superb culture, and you’ll quickly be in holiday-mode. Visit the Iles de Lerins and sip wine made by the monks who still call its ancient abbey home. Rouen: During your gourmet walking discovery tour with your Local Expert, experience delights of this historic town as you visit a selection of shops to try regional specialities like delicious cider or the chocolate confection unique to Rouen known as the 'Tears of Joan of Arc.'. Paris: A typically French bistro, the iconic Le Petit Prince de Paris has been a haven of warm hospitality since 1450 when it served as a lively tavern. Paris: Join a passionate food connoisseur for a small-group gourmet foodie walk through the streets of Paris. Diverse landscapes and impressive mountain scenery. Free day to explore the old capital Corte, or to relax on the beach at Ajaccio. Cycle through the same landscapes that inspired some of Vincent van Gogh's greatest masterpieces. Encounter rich Roman history and architecture in the historic towns of Arles and Orange. Stop in at famous vineyards outside Avignon and savour iconic French wines. Cycle from the Atlantic Coast to the Mediterranean Sea. Ride the most famous cols in the Pyrenees. Conquer iconic climbs from the Tour de France. Experience the sublime Lacets de Montvernier – often described as one of the most beautiful roads in professional cycling. Tackle the 21 hairpins of the Alpe d'Huez, the most famous climb known to the world of two wheels. Ascend the Col du Galibier, the ultra-high mountain route once described by Tour de France champion Andy Schleck as ‘like riding into the sky’. Paris Sightseeing includes views of the Arc de Triomphe, Champs Élysées and the Eiffel Tower. Beaune Visit this charming town. Lyon Orientation tour of this gastronomic city. Walking in the Scented Isle. The Mediterranean’s Most Mountainous Island. Crampon and ice axe tuition. Three day summit attempt increases chances of success. Comfortable hotel accommodation in Chamonix to maximise rest and preparation. The Eiffel Tower is most visited paid monument in the world. In 2011, 6.98 million people visited it. There are all kinds of markers for your holiday in France. A wine region, a river, an attraction, a cathedral, an outdoor adventure, urban wonders, just about anything could end up being the highlight of your itinerary. With most cities offering a peek into traditional Europe and all places boasting of fascinating natural beauty, it doesn’t get any better either. Irrespective of where your interests lie, a trip to France always includes arts and architecture. After all, some of the most famous museums, ancient Roman temples, renaissance-era wonders, artworks and landmarks can be found in the country. 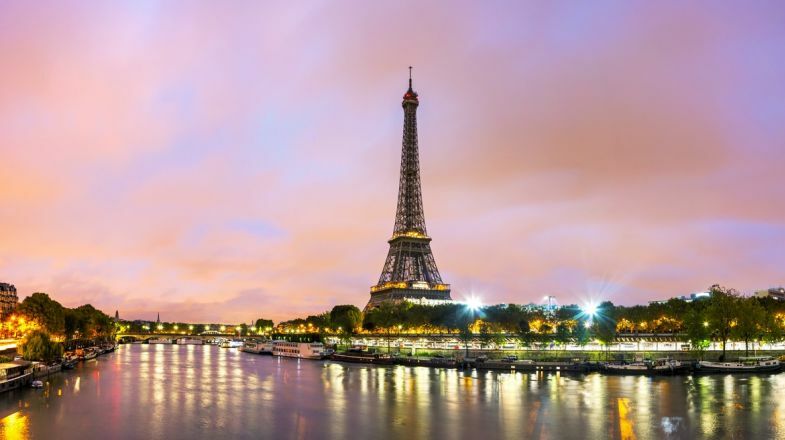 Considering that its star attraction, the Eiffel Tower, attracts more than 7 million visitors each year, you can understand why trips to this country are always memorable. Do a wine tasting tour in Burgundy and Bordeaux but areas like Champagne, Rhone Valley and Loire are equally spectacular. While many French people speak English, they prefer to speak French. The locals really appreciate when tourists make an effort to learn some basic words and phrases. and save money on public transit. The French are very polite and expect good manners. Avoid antisocial behaviour like shouting and chewing gum. Unless it’s on your bucket list, skip the Mona Lisa. While the Louvre is well worth a visit (and is free on the first Sunday of each month), this painting can be difficult to see as it is surprisingly small and often surrounded by big crowds snapping photos. Beware pickpockets and sneaky tricks to get your money. Don’t allow a street vendor to help you “try on” a bracelet, and do not pick up “gold” rings you find on the ground - these are common tricks. France has seasonal weather so please do check up on best time to visit France before planning your tour. And if you’re still hunting for more things to do and places to explore in France, do check out our France Travel Guide for more information.